In the middle of the triangule of Gran Vía, Malasaña and Chueca. As well as the main attractions and monuments of the Madrid. 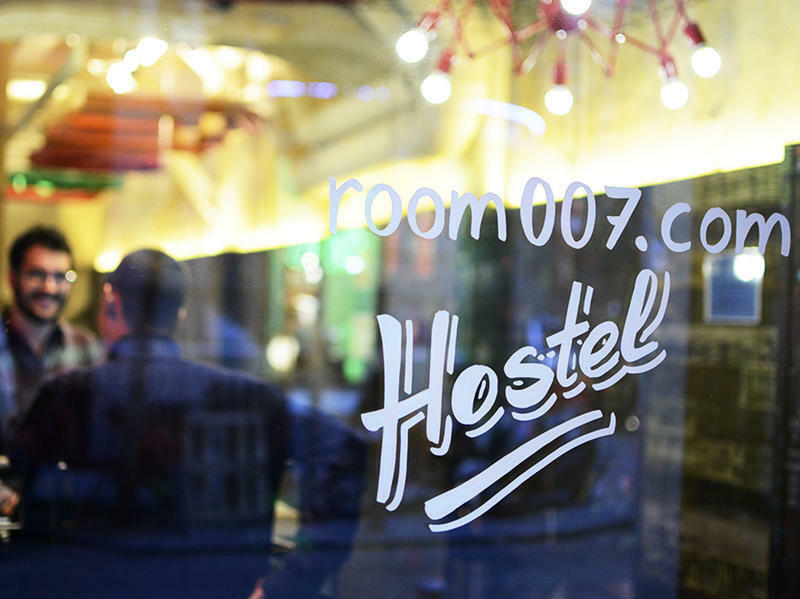 Room007 Chueca, has 32 rooms divided into double, triple or dormitory rooms of 4 uo to 11 beds. All of them equipped with bunk beds (except doubles and triples), bed linen, towels and Gel & Shampoo. 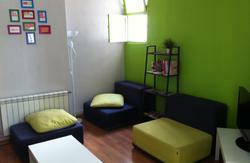 We provide free Wi-Fi internet access in all rooms and areas of the hostel. Guest will enjoy our Attic Lounge area, with kitchen, TV Set, Free Computers and Vending Machines. The hostel also provide guests with breakfast service, bar-restaurant for lunch or dining, and do not forget to visit our open-air terrace at the top floor, or the Restaurant. Our nice staff will also help you to find the most interesting and exciting things to do in Madrid, and will take to different activities everyday to meet people in the hostel. Breakfast not included - 2.50 EUR per person per day. Option 1: From Terminal 2 or Terminal 4, you can take Metro. The Line 8 connects with Line 10 in Nuevos Ministerios where you have to transfer to Line 10, and in this Line take Metro until Tribunal. From the station in around 5 minutes down Fuencarral street towards Gran Via, you will have to turn left to Hortaleza street at Hernán Cortés Street. 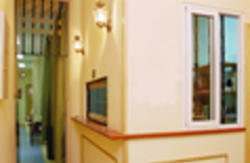 In front you will see the hostel.